The crowd of 55,000 expected history on August 30 1978 at Korakuen Stadium in the heart of Tokyo. 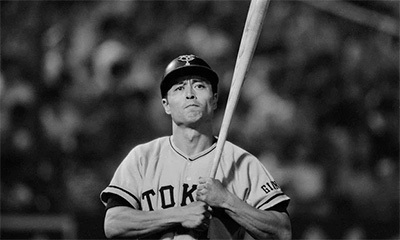 Sadaharu Oh, the famed slugger of the hometown Yomiuri Giants, entered play against the Yokohama Taiyo Whales on 799 career home runs. No player in the history of professional baseball had ever hit that many, but the landmark of 800 loomed large. In his first trip to the plate, Oh singled, before drawing a walk in his next appearance. The bustling mass of spectators, five thousand over the stadium’s recommended capacity, grew ever so slightly impatient, but roared shrill encouragement when Oh ventured to the dish to begin the home half of the sixth inning.